The Town Mayor and Mayoress of Dunstable, Cllrs Peter Hollick and Ann Sparrow, attended the Anglia in Bloom Awards Ceremony in Gorleston, near Great Yarmouth, last Monday (6 September) along with members of Dunstable in Bloom and were delighted to collect a number of awards. 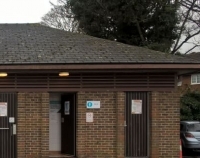 The Town Council’s Town Clerk and Chief Executive, David Ashlee commented on how proud he was that such a magnificent community effort has resulted in such fantastic success for the town. The Chairman of Dunstable in Bloom, Hugh Garrod added ‘Our success this year is testament to the hard work of our volunteers, community groups, schools, local businesses and Town Council staff. I am delighted that we have retained our Gold Medal again and am very pleased that Weatherfield Academy received a special award’. 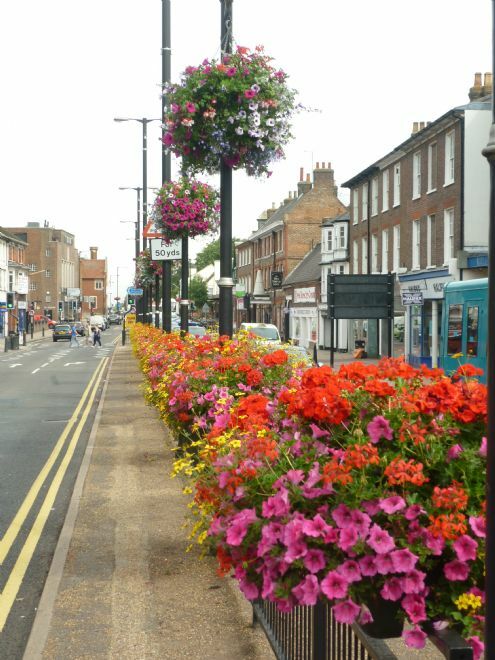 Anglia in Bloom is the eastern regions premier horticultural and environmental campaign and the judges spent a whole day in Dunstable in July. They were taken on a tour of the town to view all the floral displays, public open spaces including Blows Down and the many wonderful outdoor community and school projects. 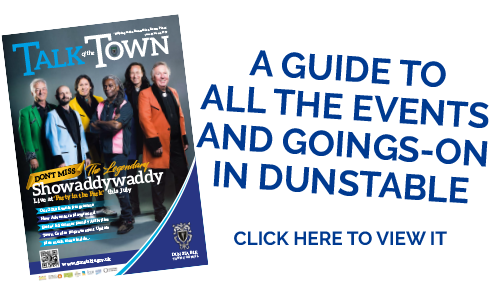 You can contact either Sarah Woodruff, Secretary of Dunstable in Bloom SARAH.WOODRUFF@NTLWORLD.COM 01582 696962 or John Crawley, Head of Grounds and Environmental Services at the Council,JOHN.CRAWLEY@DUNSTABLE.GOV.UK 01582 891413, with your thoughts and ideas for 2017.